Outsource2india is a reliable Investment Memorandum consulting firm provider that helps businesses to increase investor awareness and help them raise funds. It's highly crucial to have a clear and precise investment memorandum to help make bigger and risk-free decisions. Our made-to-fit services are a cost-effective choice over tedious in-house jobs. We help clients save money and time with our focused and methodical approach to content and structure of investment memorandums. At Outsource2india, we cover all the easy and complex tax aspects of an investment. Our efficient investment analysts guide you with industry-specific specialized tax treatments. We also create reports on industries, business plans, management team biographies, macroeconomic reports, etc. We provide a competitive pricing structure, which are designed keeping specific client budget requirements in mind. Therefore, we bill our clients strictly on project complexity, time required for project completion, etc. Outsource2india provides outstanding investment memorandum consulting services along with a wide range of financial investment research services to global clients. Our tailored services and unmatched work experience are not only cost-effective and highly efficient but are also time efficient. Other services we offer include corporate finance support, asset management support, investment research, etc. We work on global time zones to provide solutions to our clients at the earliest. 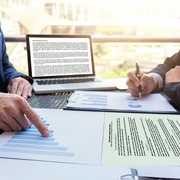 Therefore, if you are looking for quick and accurate investment memorandum consultation services in India, then just get in touch with us and we can provide you with the right kind of support you are looking for.